Having come with Office 2007, command tabs are seen in more and more applications. What are command tabs? These are just tab items, from a UIAutomation user’s point of view. Task: open a command tab by its name. Work with elements inside it. Requirements: provide a standard way to open a command tab and get controls placed on here. Solution: the first example is how to open each command tab in an application. With OneNote, taken as an example because never stopping complaints against UI-based tests disturb me ;), we’ll activate all the command tabs, one by another. As can be easily tested, changing the word onenote to, for example, winword will print out command tabs of Word. 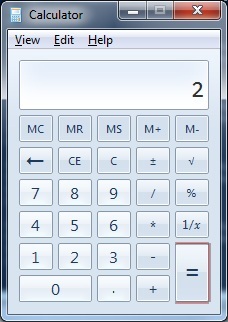 (The script tested with OneNote 2010 and Word 2010 on a Windows 8 CP box). Now we are going to accomplish the second part of this task: printing out all the content of every command tab. Note, here we don’t get the hierarchy from under tab items. Tab items become custom controls when they are clicked. Thus, we used here Get-UIACustom fed with the name of the current command tab. Sometimes, queries are not the best way to navigate along the Automation tree. Why? Get-UIA[ControlType] cmdlets return only one control. The Search-UIAControl cmdlet returns all controls that match, but it needs previously to run around all the Automation tree that may be too long in certain applications. What if your only need is to get a few controls situated at the same level of the Automation tree? My choice is to get one and navigate to the next sibling. Theoretically, the control that a Get- cmdlet returned is the first sibling, i.e. navigating to the previous sibling is not demanded at the same extent as to the next sibling. Though, no one guarantees that the control you’ve been given is the first child of its parent. Thus, several cmdlets are here to help you turning left or right when necessary. Task: demonstrate how to navigate along the Automation tree. Requirements: figure out which cmdlets are helpful regarding navigation. The Search-UIAControl returns 75 objects (possibly, objects with empty name and automation id are being calculated in various ways), but somewhat slower: the cmdlet walks the Automation tree what requires much more process-to-process calls. 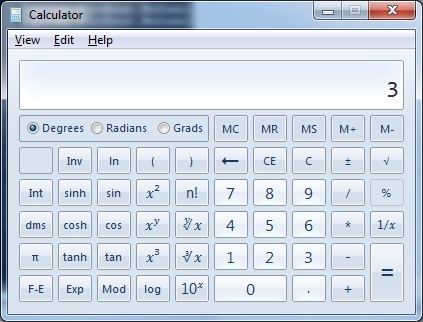 Calculator in the Scientific mode returned 53 buttons, both buttons with numbers and signs and control buttons like ‘Minimize the window’. Okay, let’s repeat the question: where our buttons are? Which control might be their parent? The main window? A pane under the main window? The main window contains a pane, it in turn contains another pane, which button are placed on. The first line of code returns the button 0, the second – MR, the third – (any doubts?) 1, the fourth – 4. The first button is MC, the last (don’t you think that the Get-UIAControlLastChild is the less usable cmdlet if even me avoiding to use it?) – ‘ten in the X degree’. After the navigating crash course has been conpleted, you are able to sail to wherever your controls are! Working with an application under test using the keyboard is not a thing that the majority of us loves. What to speak, Microsoft guys would rebel against such tests. Although I’m also not a big fan of keyboard imitation, the post brought me to an idea to collect keyboard short cuts into a list. For example, you need to have the full list of short cuts for further consideration, test planning, etc. Maybe, you are worrying about how to test localization to many languages and such a dump would be valuable. Task: use UIAutomation to collect all the available on the current screen of the AUT access keys and accelerator keys. Requirements: to form a tab-separated list of controls and their keys. Solution: below is an example that can collect two levels of the menu items (the main menu and one level deeper). It works not bad, but in the last test, mspaint, it gets in the endless loop. The whole script kill the WordPress engine (only the sourcecode area:)), so that I divided it into parts. The whole script will in the samples within the next version, 0.7.3, today later or tomorrow. The sample script crawls around controls and writes all the collected to the screen and in a dictionary (one dictionary per a function call). Homework: fix the script. Script never finishes up mspaint with control types selected to work with (less types selected allow the script to finish, but the output is too poor). Also, it needs support of deeper levels of the menu (have you seen vSphere Client 5.0?). MSPaint within Windows 7 is a fun toy. Multi-level system of menu (command-tabs and drop-downs), Quick Access Toolbar, Zoom are the things that do mspaint quite similar to the Big Brother and sample for all forever, Microsoft Office. Well, let’s get accustomed with these controls. Task: use UIAutomation to work with cutting-edge controls, for this goal explain how to use the search cmdlet with application’s menus. Requirements: perform actions with a picture by means of menu items. Sometimes we don’t know the type of object we are searching for. Often, we don’t even want to know the type. For instance, we need to check the list of controls is represented on a form or wizard page. To have this task done, we need the way that led as directly to the control of our interest. Another example is a rich form. This may be OWA (Outlook Web Access) or anything else with a grid or a list with data. If we need to get a particular control or controls, there’d be useful a search allowing us to type in a part of name. These tasks can be easily accomplished with the Search-UIAControl cmdlet. Let’s see how to do that. Task: demonstrate using the search cmdlet. Requirements: perform search that consumes a part of control’s name. Have you never desired to write all the actions the user of your application performed? What a pity, there’s no embedded logging in our application… Hey, no problem here! The today’s sample demonstrates how to write down all button clicks. Task: register all the clicks that the user done during the session. Requirements: use the module for dumping all the button click events happened after the application started. After the code is processed by PowerShell, the file will contain all key pressings. You may have heard that beyond our little world of PowerShell and software testing boundaries many other things exist. For example, the mathematical theorems that are waiting for its solution. One of them is ‘what is the answer to the expression 2 + 2 / 2?’. I’m not a mathematician, you are perhaps too, so that what’s the reason to argue would it be 2, 3 or even 42? Well, we are going only to test a program to confirm the readiness to such mathematical things. Meet the candidate: calc.exe! Task: demonstrate how to test an application. Requirements: use UIAutomation and TMX modules to report the results. # test reports are still ugly!! !